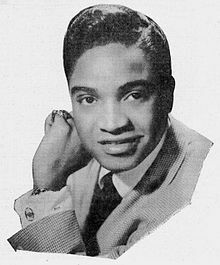 ^ Jackie Wilson (American singer). Britannica.com. [December 30, 2009]. ^ THE RHYTHM & BLUES FOUNDATION ANNOUNCES HONOREES FOR THE 13TH ANNUAL PIONEER AWARDS GALA CELEBRATION SET FOR THURSDAY, FEBRUARY 20 IN NEW YORK. Prweb.com. [July 14, 2018]. ^ Jackie Wilson. Rockhall.com. [December 30, 2009]. ^ 100 Greatest Artists of All Time. Rolling Stone. [June 20, 2012].